We’re a dedicated team of environmental advocates, bringing diverse skillsets to promote sustainability in our region. Kelly‘s passion for the environment was cultivated early in life on her family’s farm in Kentucky. She’s found her life’s work in improving the health of our ecosystems, and fighting climate change in local communities across KS and MO. Kelly has been with MEC for over 10 years. She was inducted into the Department of Energy’s Clean Cities Hall of Fame in 2017 and was named an Agent of Change for her leadership in transportation sustainability by the KC Clean Cities Advisory Board in 2010. 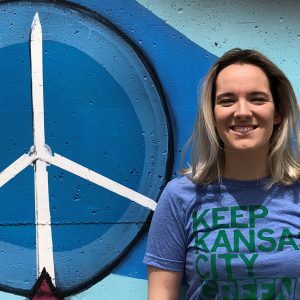 She serves on the Metro KC Air Quality Forum, KC Metro Climate Action Coalition Steering Committee, and many other climate and energy policy groups across KS and MO. In her free time, she enjoys supporting area farmers markets, barn dancing, and cheering on Sporting KC. Sara is a highly analytical environmental scientist who helps drive MEC‘s programs and mission. 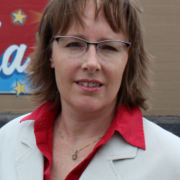 She heads our Building Energy Efficiency program, and supervises MEC’s broader program and project initiatives. Her strengths lie in research, data management, grant writing, and program development. Sara previously worked at the U.S. EPA, Region 7, where she was an environmental scientist focused on water quality across the U.S. She has Bachelors degrees from Rockhurst University and University of Missouri – Kansas City. Sara’s passion for the environment extends to her hobbies, as she spends her time rock climbing, minimalist backpacking, and writing. Along with a decades-long enthusiasm for environmental and energy issues, David brings years of business research and program development experience. 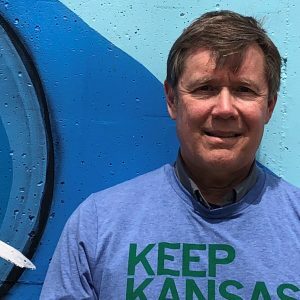 He started as a Program Coordinator with KC Clean Cities in 2013, and was officially designated a Kansas City Regional Clean Cities Coordinator by the Department of Energy in 2018. Prior to coming to MEC, he worked at the Greater Kansas City Chamber of Commerce, managed international relations at the International Visitors Council, and served as an administrator and analyst at the Consulate General of Japan in Kansas City. When not at work at MEC, he volunteers at Habitat Restore, brews beer, and does his bit to preserve local ecosystems by beekeeping in his backyard garden. David has B.A.’s in History and German from the University of Missouri-Kansas City and a Master’s in East Asian Studies from the University of Kansas. Tami joined Metropolitan Energy Center as a program intern in the fall of 2017 to support the ethanol and biodiesel projects in Kansas. 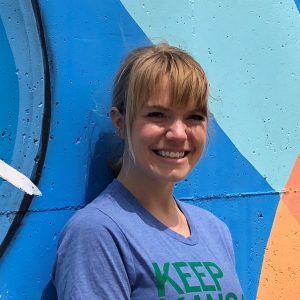 She quickly became indispensable and is now a Program Coordinator, managing event coordination, outreach, customer relationship management, program administration, research writing, and content development for Central Kansas Clean Cities. 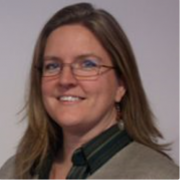 Tami has several years of facility and non-profit management experience where she introduced sustainability measures to organization practices. She has Bachelor‘s degrees in Mathematics-Statistics and Geology from Wichita State University and recently began working toward her Master’s in Environmental Science. A life-long Kansan, Tami lives in Wichita with her husband and their three children. She is passionate about promoting the environmental health and local economies of both urban and rural communities across Kansas. 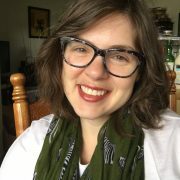 Beth Pauley joined MEC in March 2018 as the Communications Coordinator. She revamped the MEC brand, and cultivated an all-new base of donors and volunteers. She has since pivoted to create her own role managing Advocacy and Development, where she focuses on educating local policymakers, fundraising, and volunteer management. Beth has worked in several advocacy roles, the most recent being at a large animal shelter in KC Metro. She recently completed her Masters in Public Administration. She loves connecting with people and is passionate about identifying ways diverse populations and organizations can work together to solve problems. She spends the remainder of her spare time reading, playing with her pets (two dogs and a cat), and teaching/taking dance classes around the city. 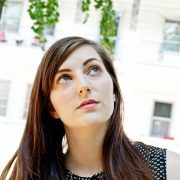 Natalie joined MEC as a Program Coordinator for our transportation program. Through her administration of Department of Energy and EPA grant projects, her knack for marketing and outreach became apparent, and she moved into a Communications role in 2019. She now focuses on brand development, social media management, digital content creation, media relations management, event planning, and forging community partnerships. Prior to coming to MEC, Natalie worked for a transportation technology startup in the Kansas City area. She has a Bachelor’s Degree in Philosophy from Vassar College. A big-picture thinker, she is excited to use her passion for storytelling to combat climate change locally. On weekends, Natalie can be found exploring the city with her bubbly rescue dog, doing yoga, or working with kids at a local shelter. Meggan is an AmeriCorps VISTA for the Energy Solutions Hub, focusing on building energy efficiency programs and projects. She currently handles fund development for the Hub, and cultivates projects focusing on energy equity for low-income multifamily residential landlords and tenants. Her passion is working in non-profits to make a difference in the community. She previously has worked in several libraries in the KC Metro area. She holds a Masters Degree from Emporia State University. When she isn’t working, she can be found spending time with her pets, creating art and photographs, and discovering new restaurants in the area. Thomas started out as an intern with our Clean Cities program. He quickly showed his strong analytical and relationship-building skills, and was brought on as a Program Coordinator for our clean transportation program. 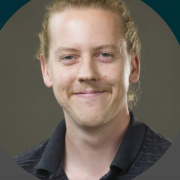 He currently helps administer an EPA grant project, all while completing his degree in Business with minors in Environmental Sustainability and Economics at UMKC. He is most interested in finding ways to help businesses and local governments cut costs by going green – and plans to do so through our Green Fleets program. He’s also a member of Enactus, an international student organization focused on local and global social entrepreneurship. In his free time, Thomas likes skateboarding around KC, bicycle commuting, music production, and reading.